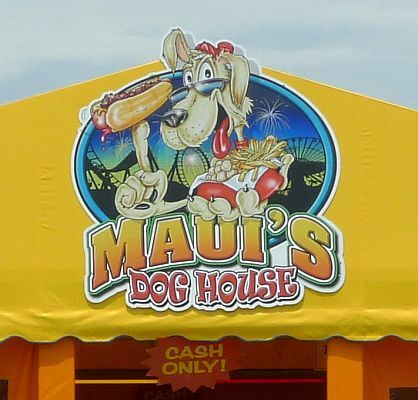 You may have seen Maui's Dog House on TV. 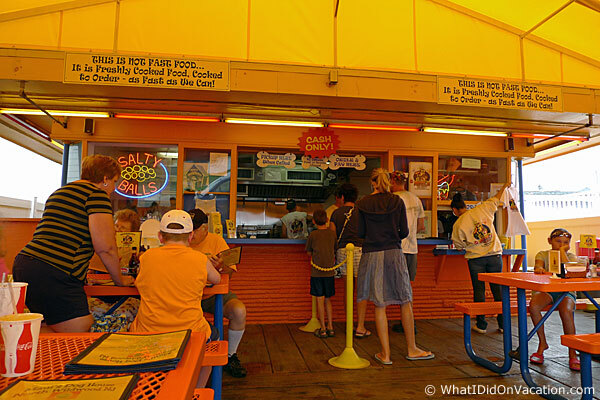 The interior of the Maui's Dog House tent has limited seating. To help with crowds, a host or hostess seats you. However, you then get up and order food at a window yourself. 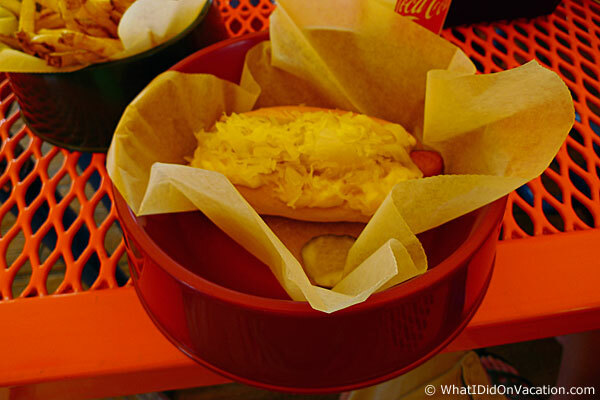 All Maui's Dog House hot dogs are served in dog dishes - get it? 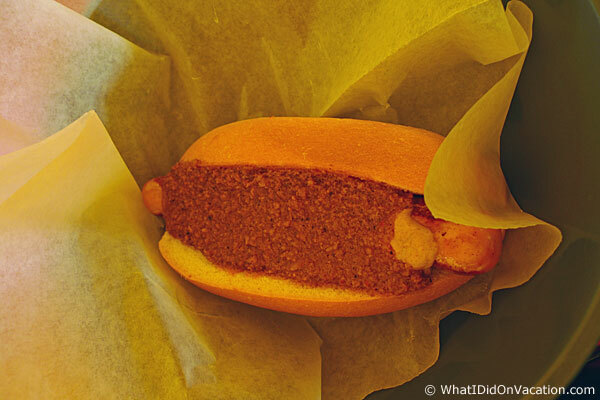 The Dressed Hot Dog - homemade chili, raw onion & mustard - $3.65. 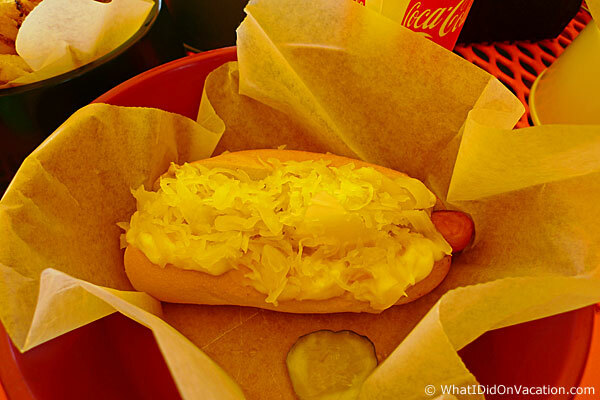 The Cheesy Drunk Horse - horsey mustard, cheese, kraut cooked in beer - $4.65. 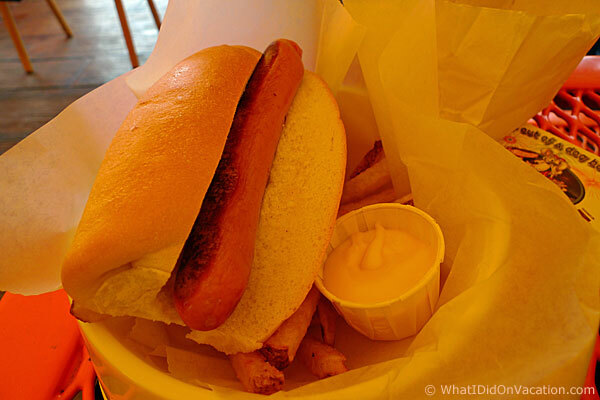 Naked Hot Dog - $5.75. 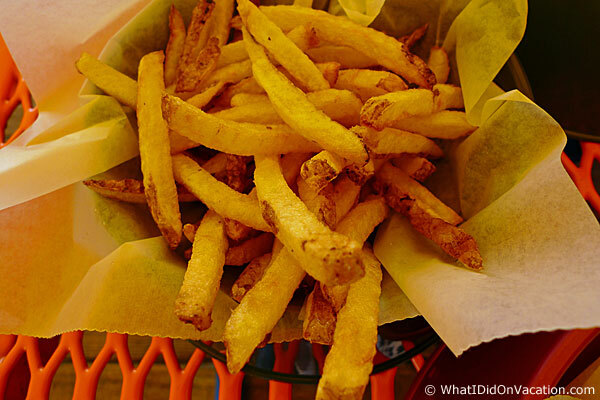 Regular order fries - $3.50. 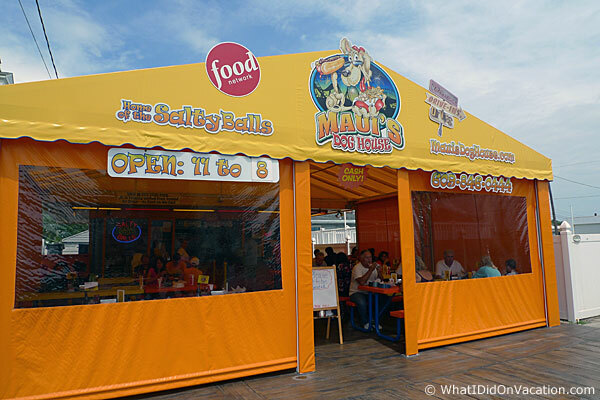 Maui's Dog House is not a big place. 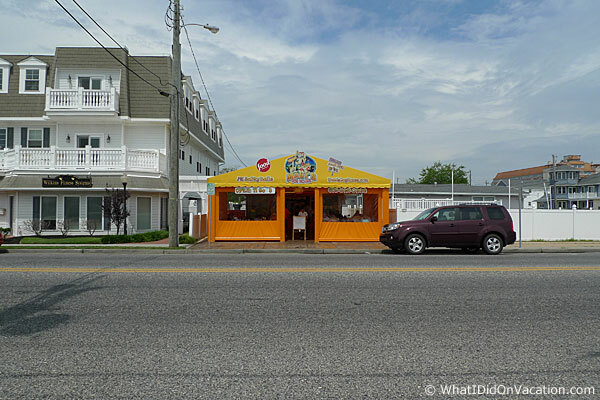 It is located off the boardwalk and away from other touristy spots.